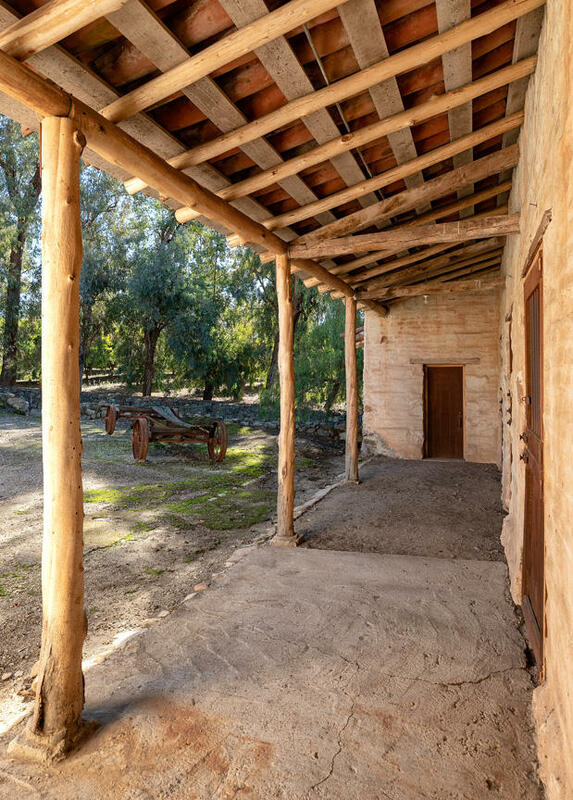 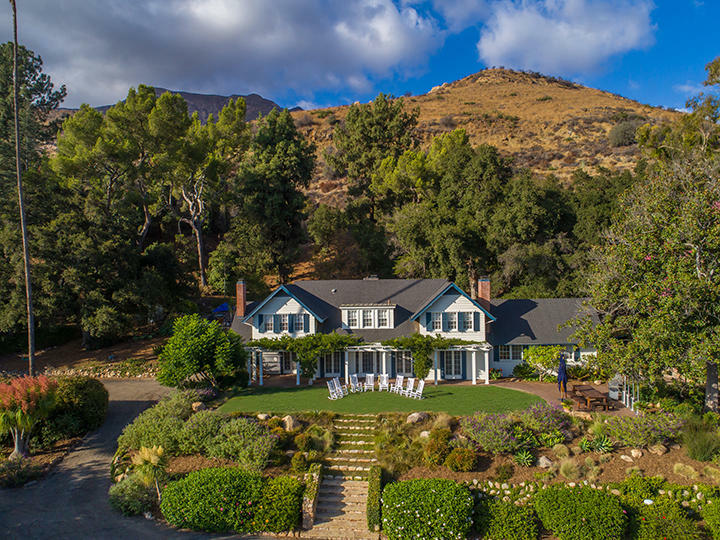 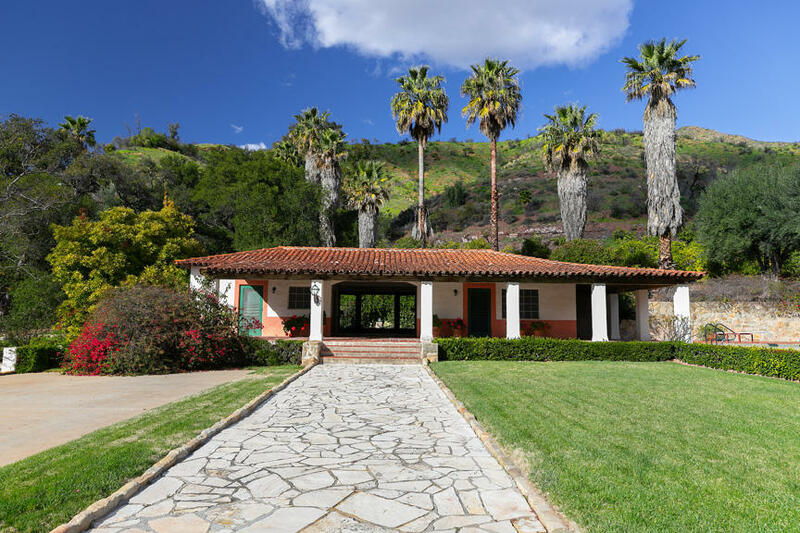 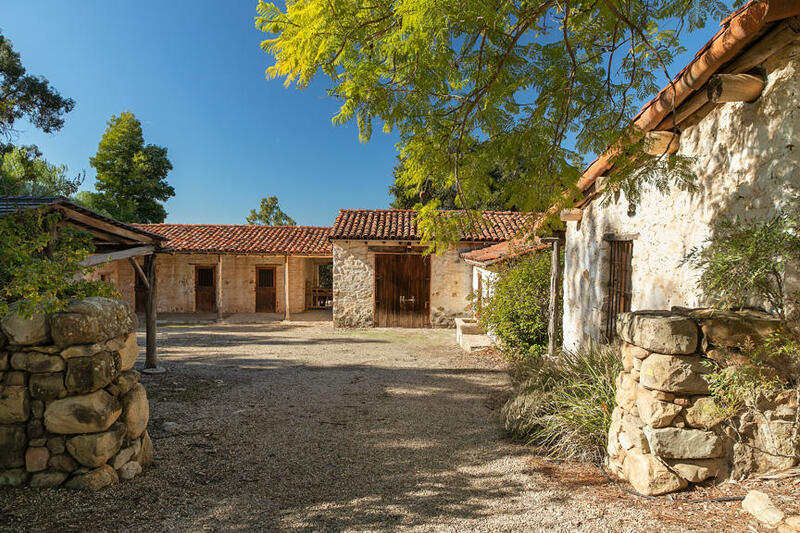 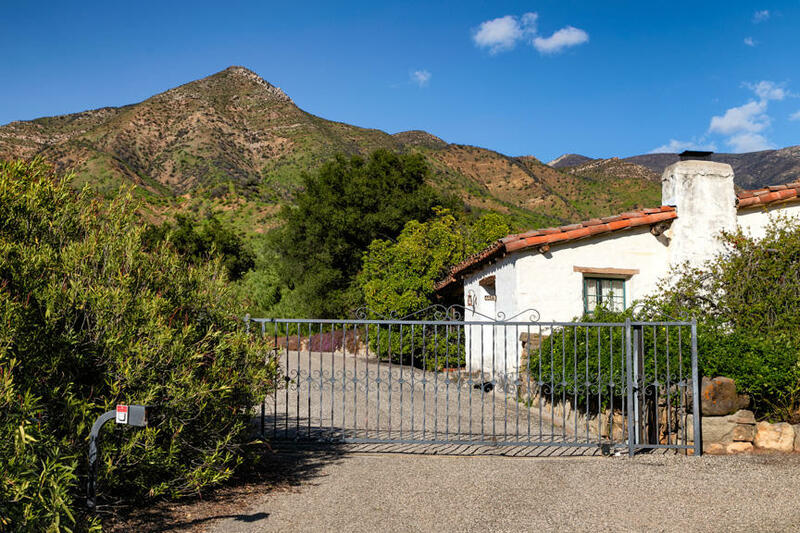 Approached by way of a quarter-mile private driveway, the 52-acre Twin Peaks Ranch is one of the most iconic properties in Southern California. 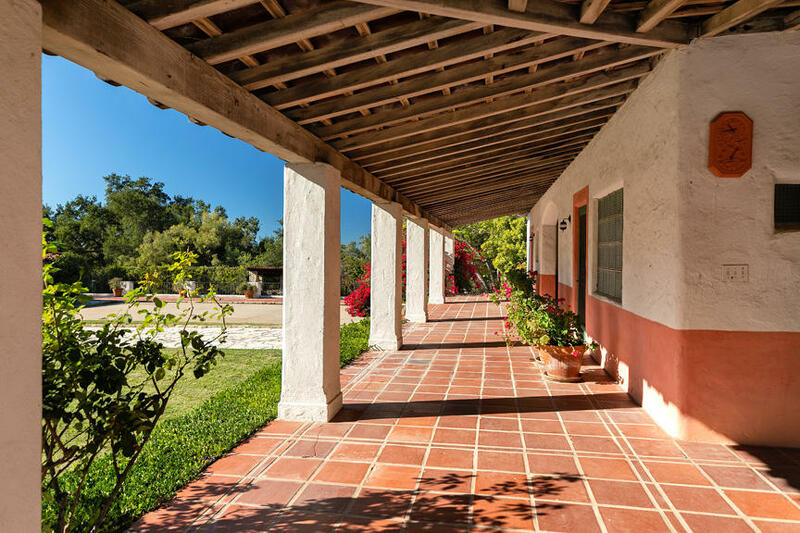 Originally designed in the 1920's by esteemed Pasadena architect Palmer Sabin in the Spanish Mission Revival style, Twin Peaks includes a main residence and three guest houses, two staff houses, a 60' swimming pool, a tennis court, a stone barn and stables.The spectacular main residence is stucco and tile, with exposed hand-hewn beams used for the ceilings and trim. 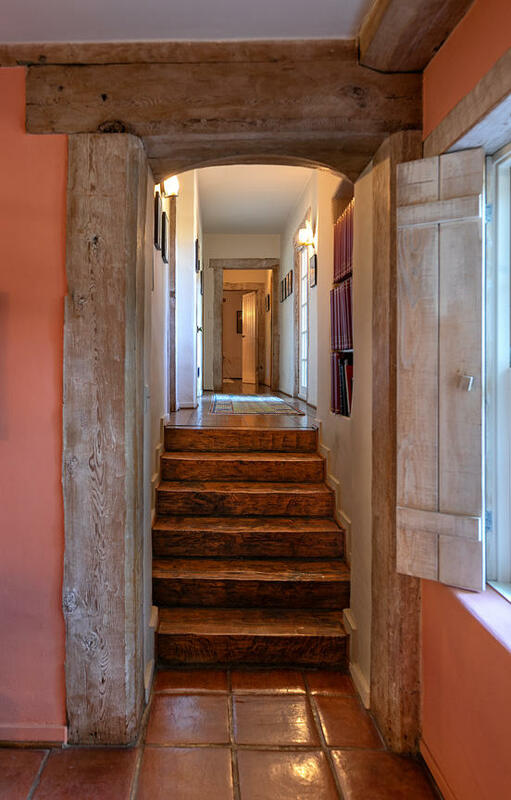 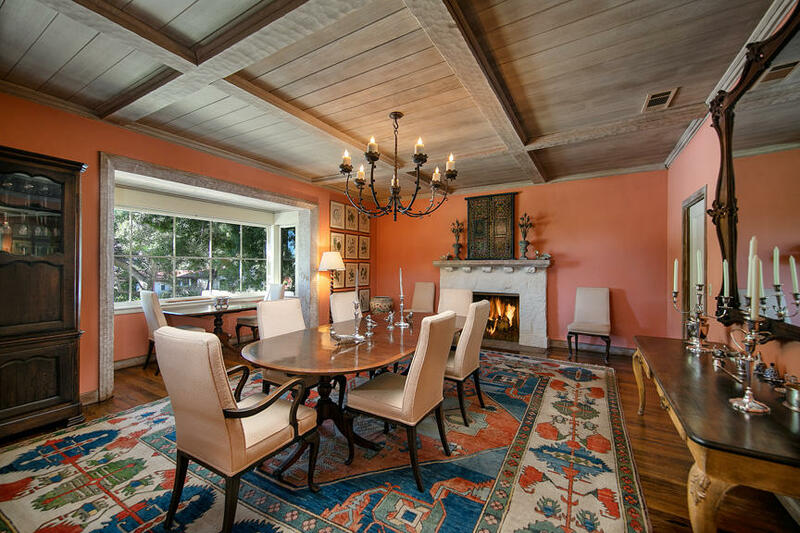 It has three bedrooms, three baths, a study, a dining room and four fireplaces. 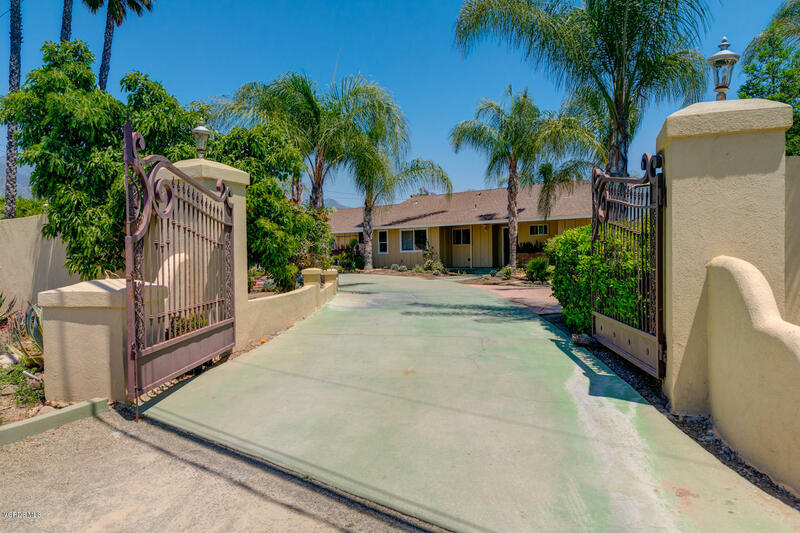 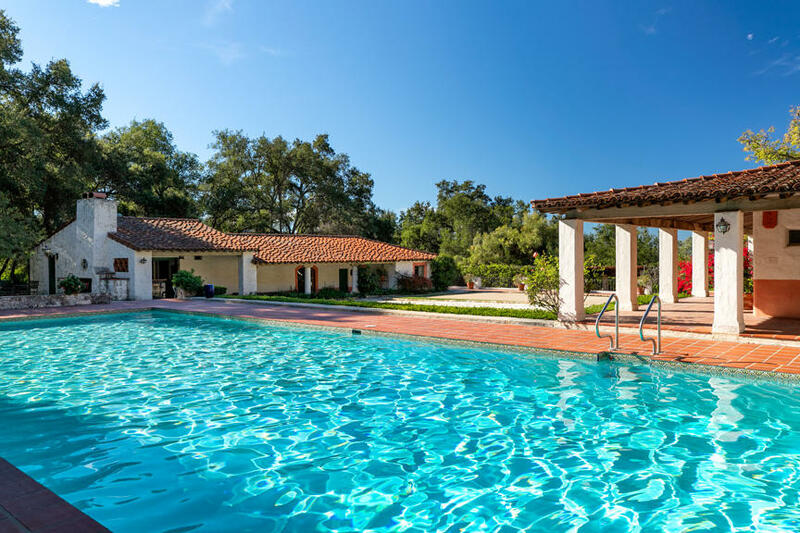 Just outside, the recreational plaza, amidst spectacular, mature trees, brilliant flowers and rolling lawns, features the pool, the tennis court, and an outdoor bar leading to a large kitchen. 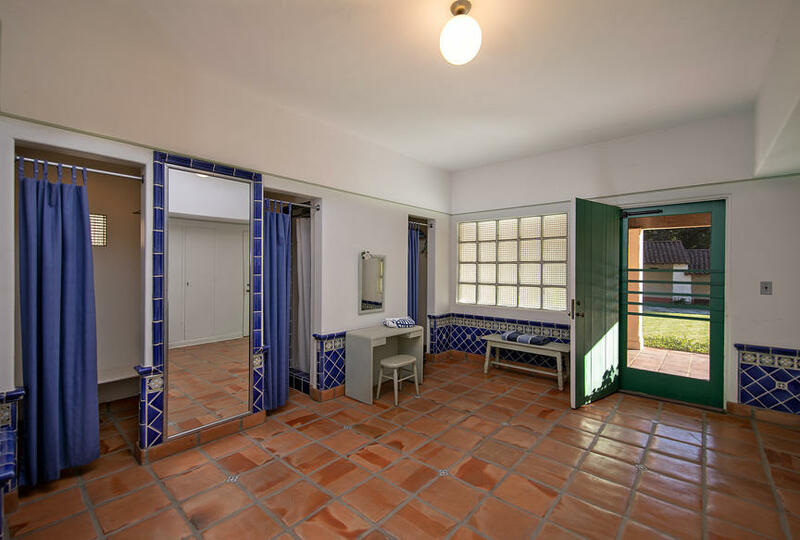 The pool house includes spacious his and hers changing rooms complete with bathrooms and showers. 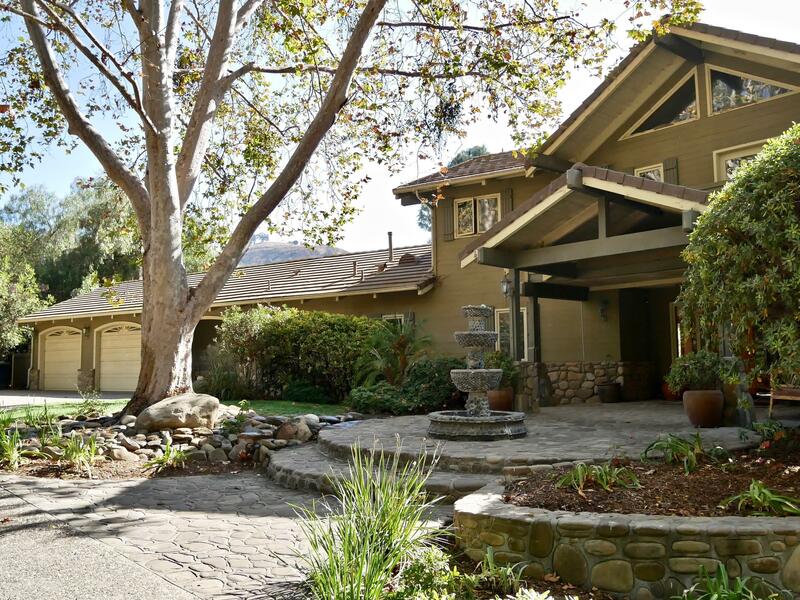 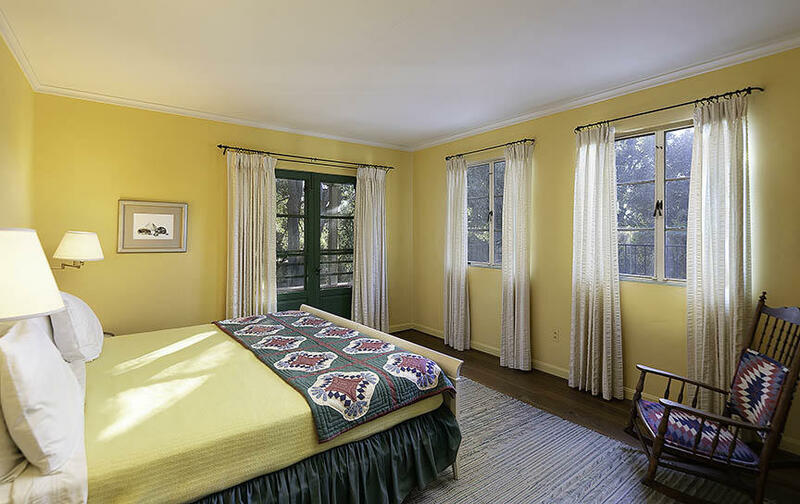 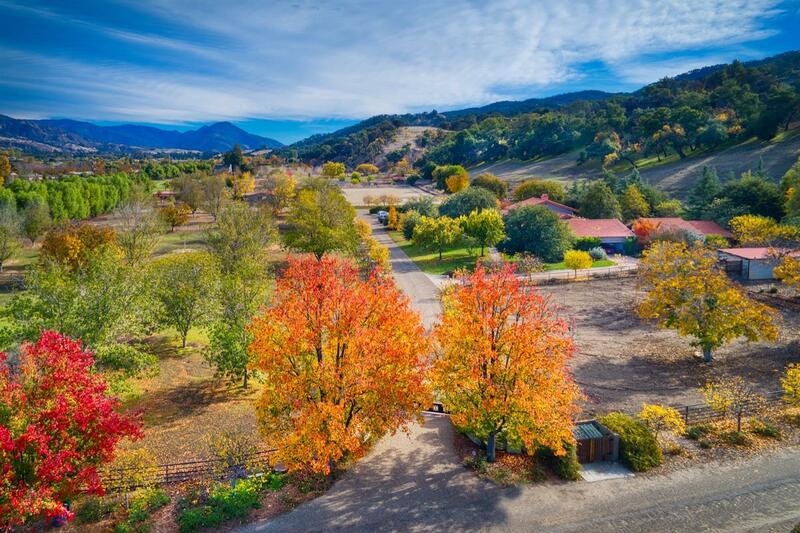 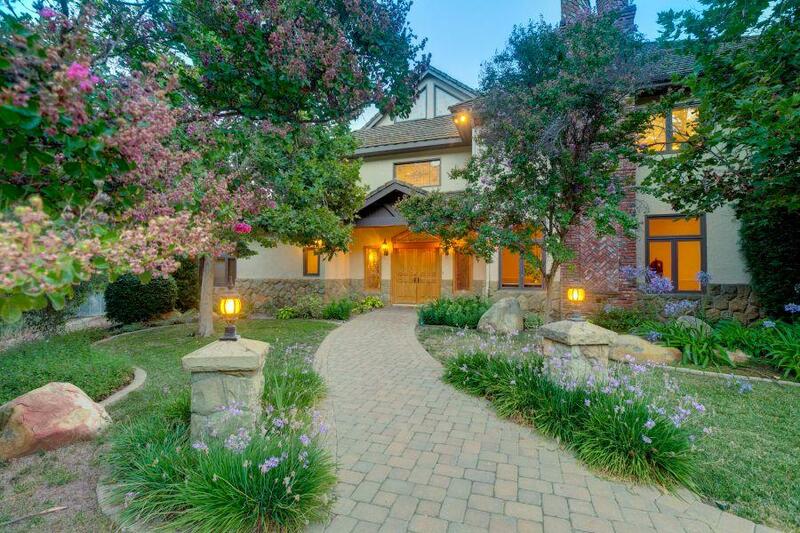 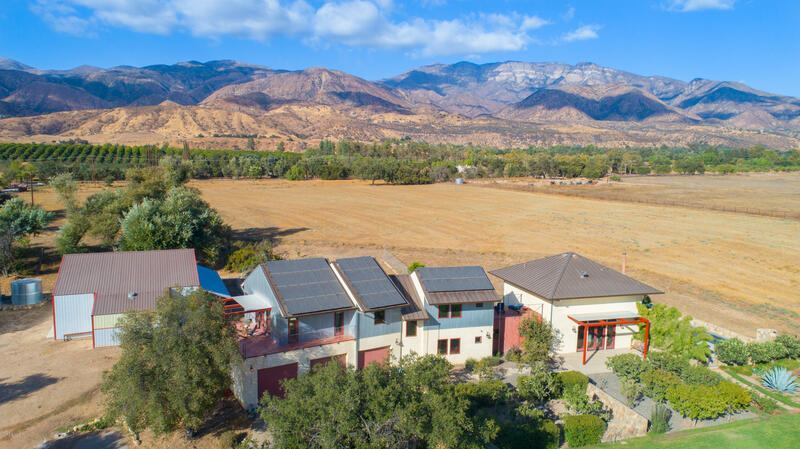 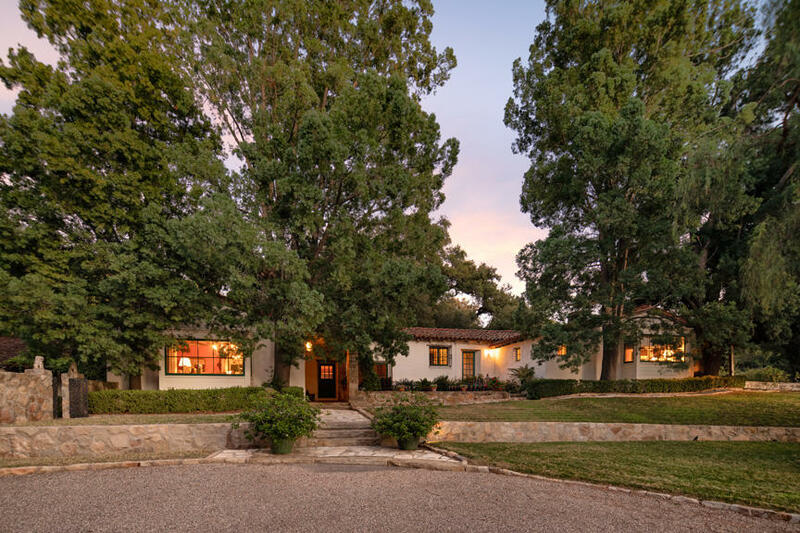 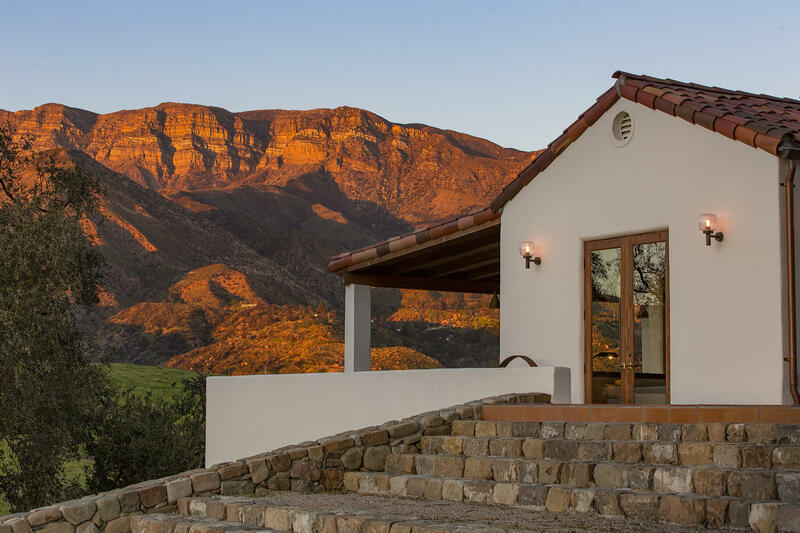 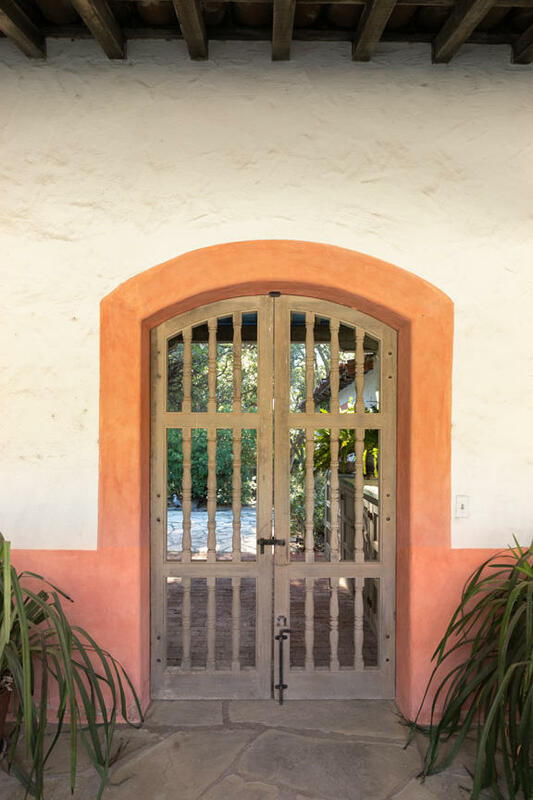 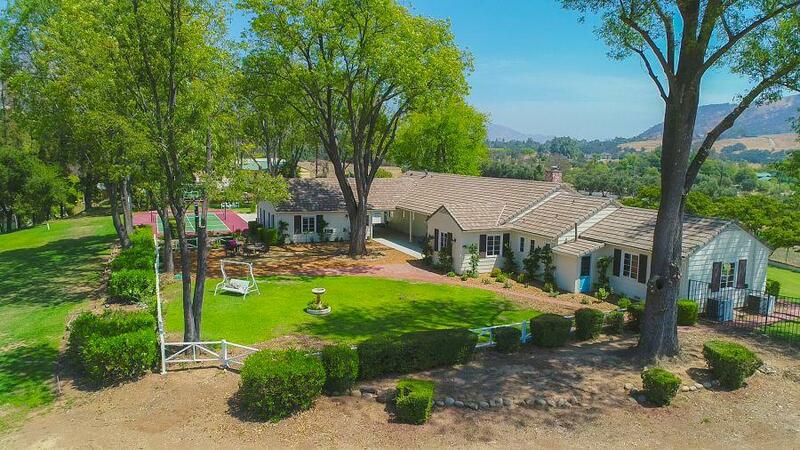 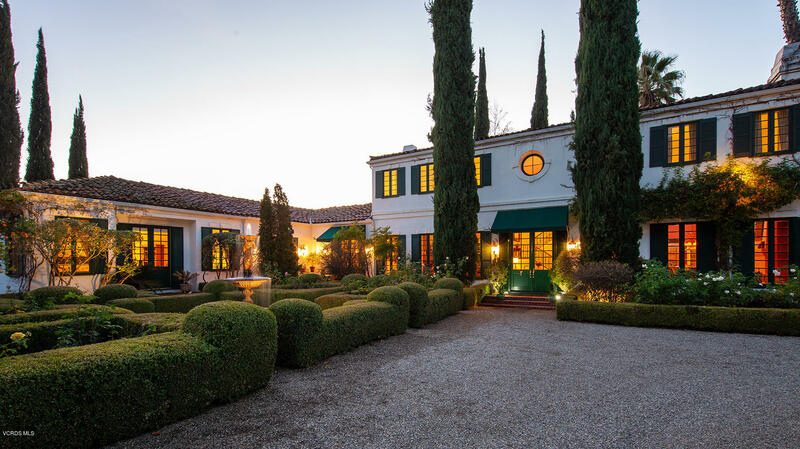 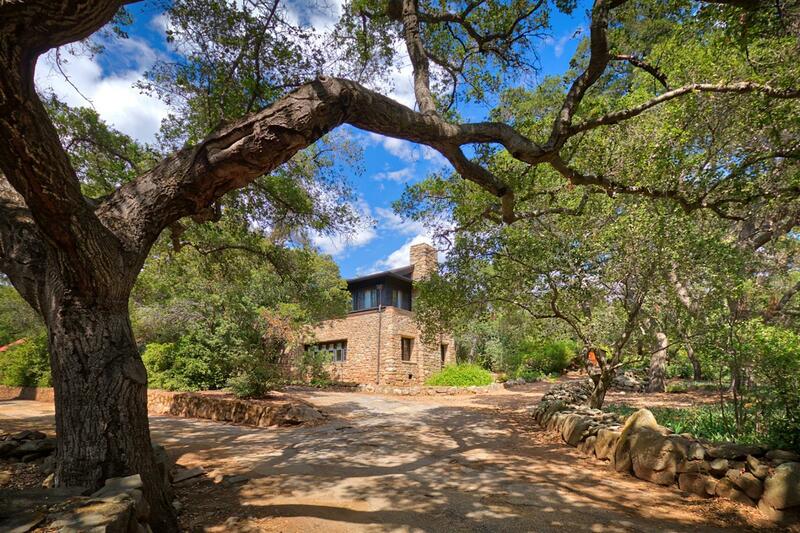 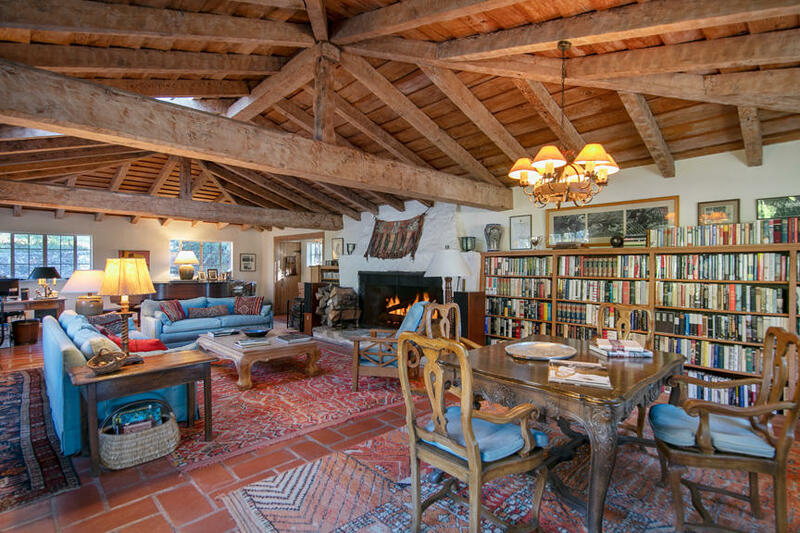 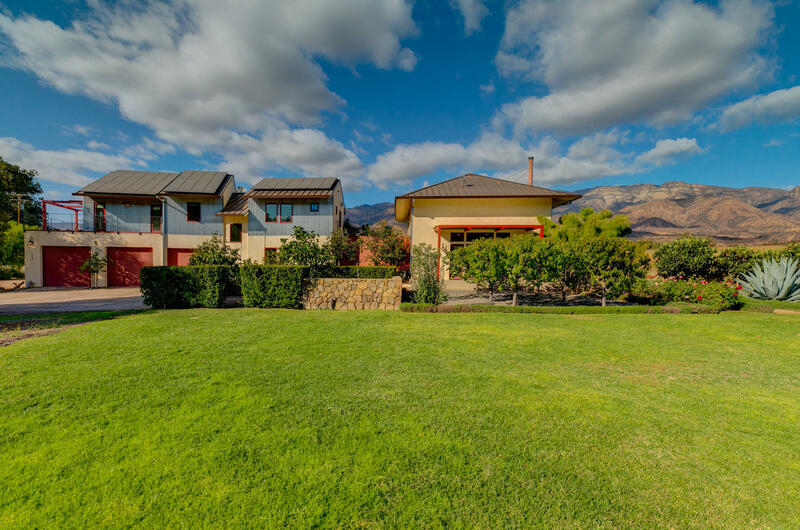 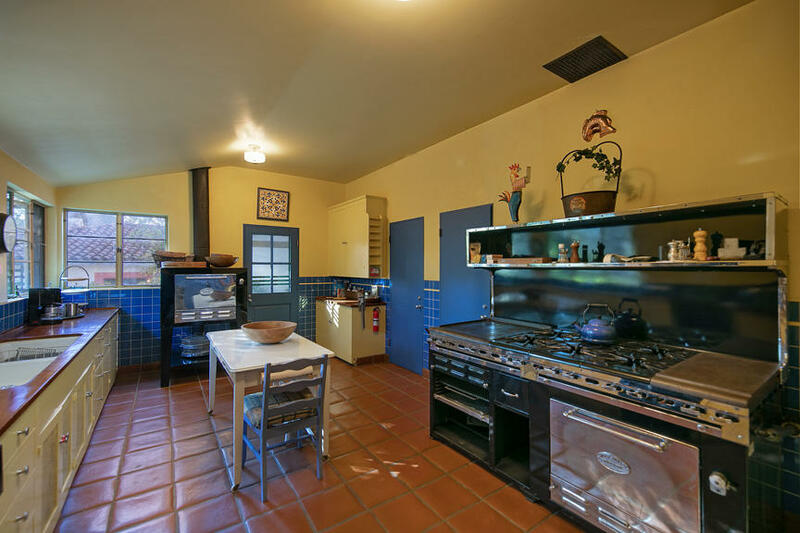 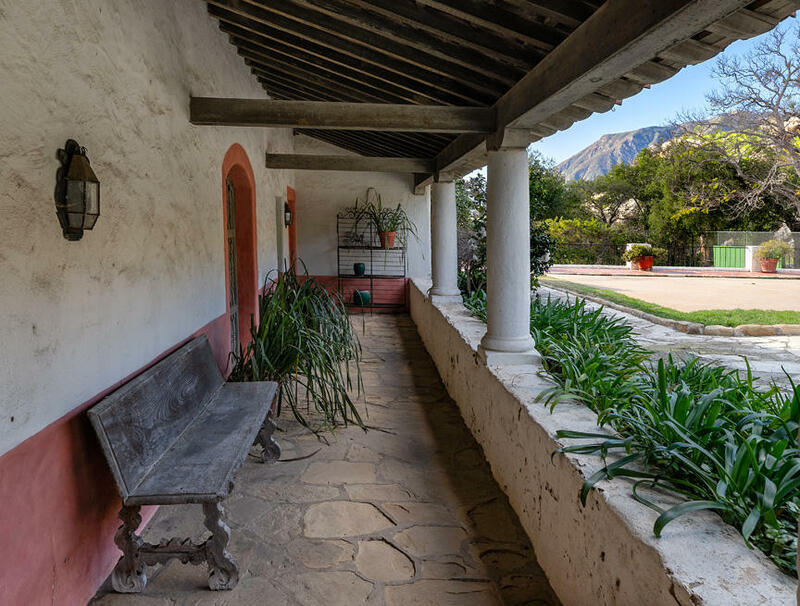 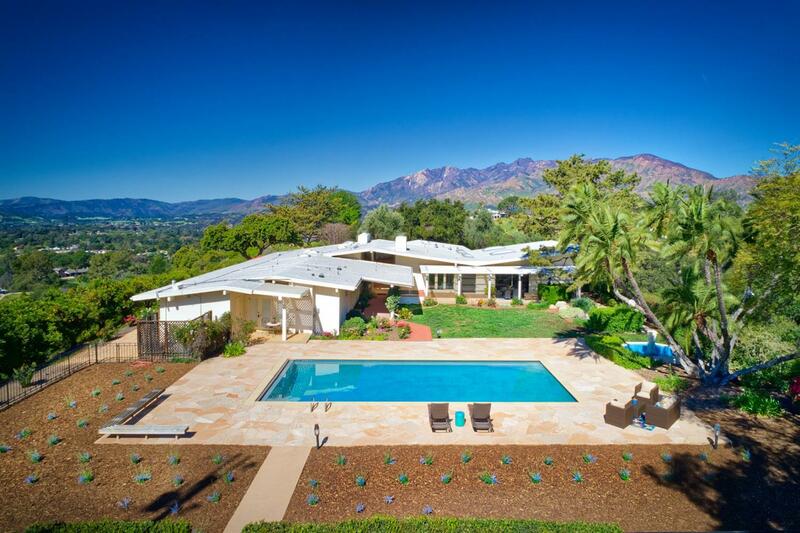 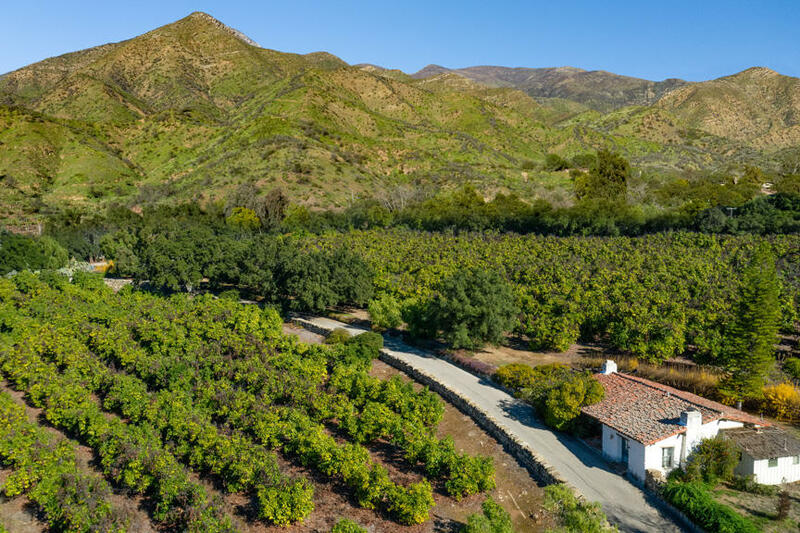 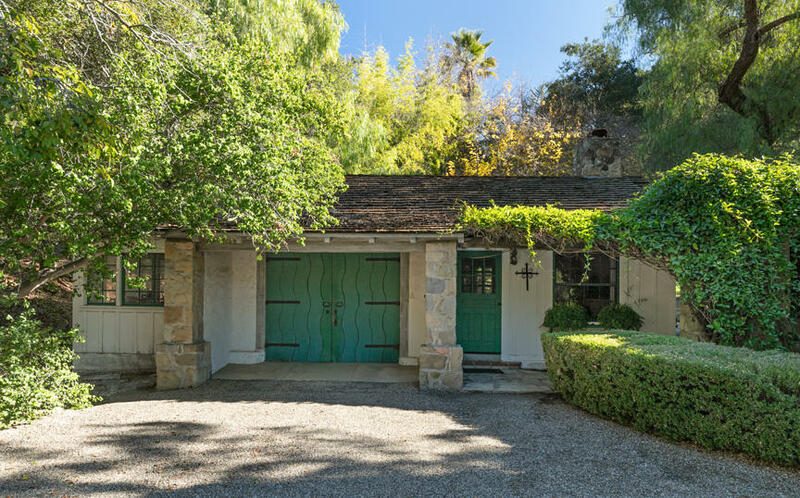 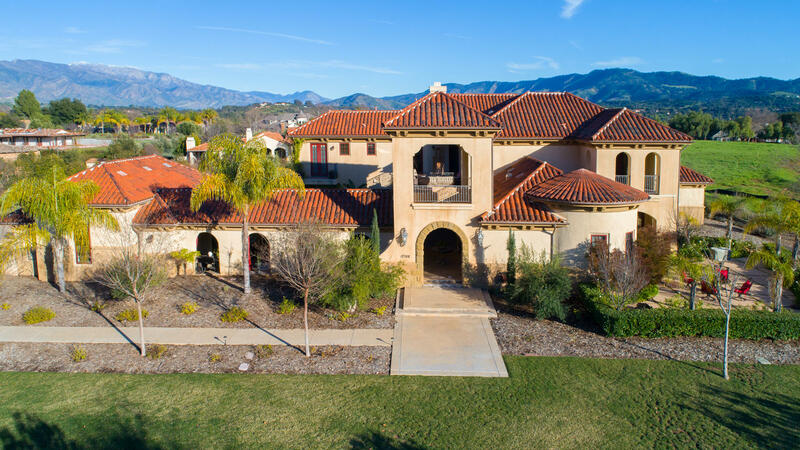 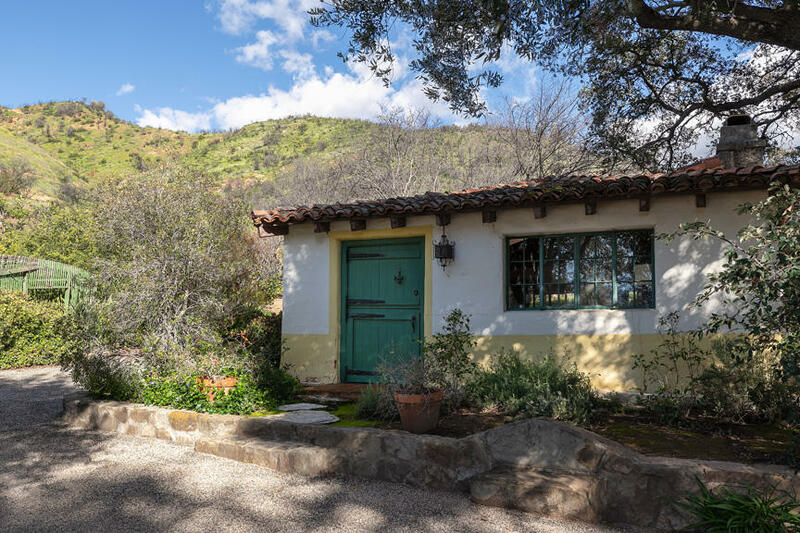 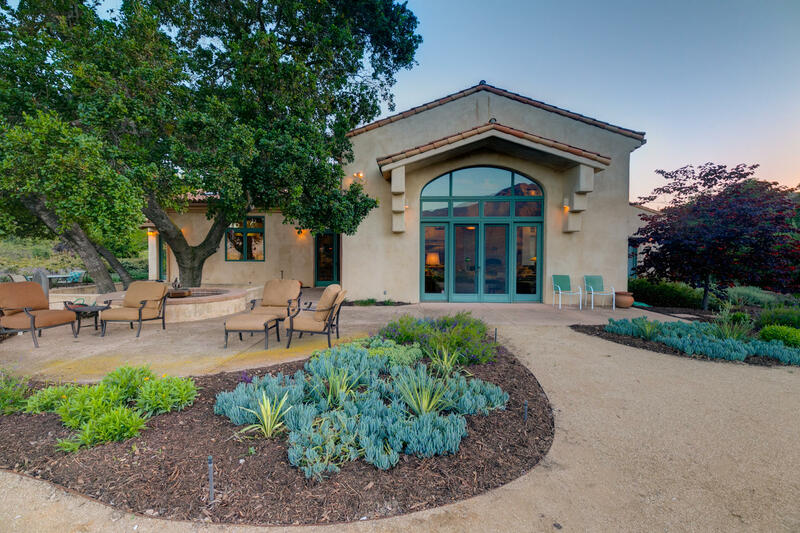 Covered porches boast spectacular views of the entire Ojai Valley and surrounding mountains. 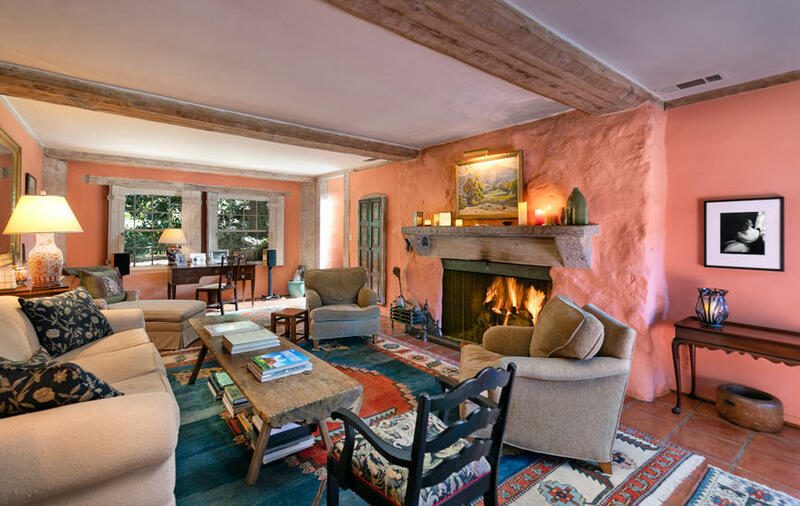 Adjacent to the plaza is a library/music building with an oversize fireplace and an elegant guest house with three bedroom suites. 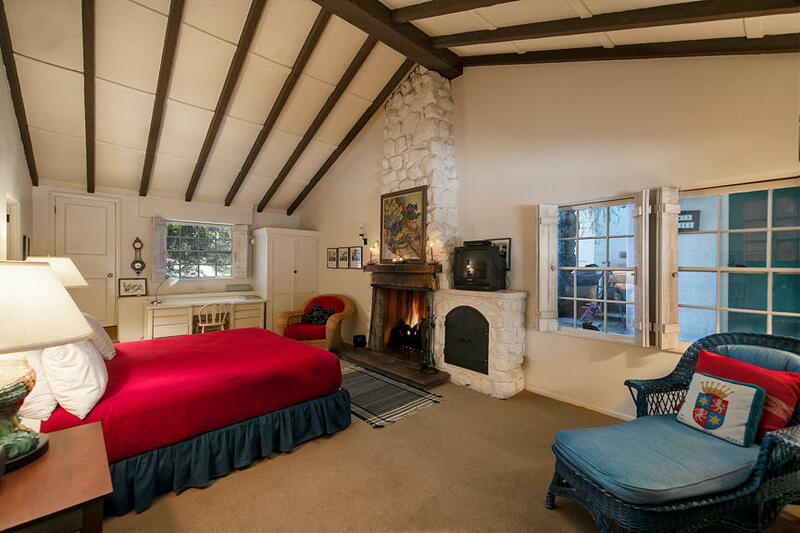 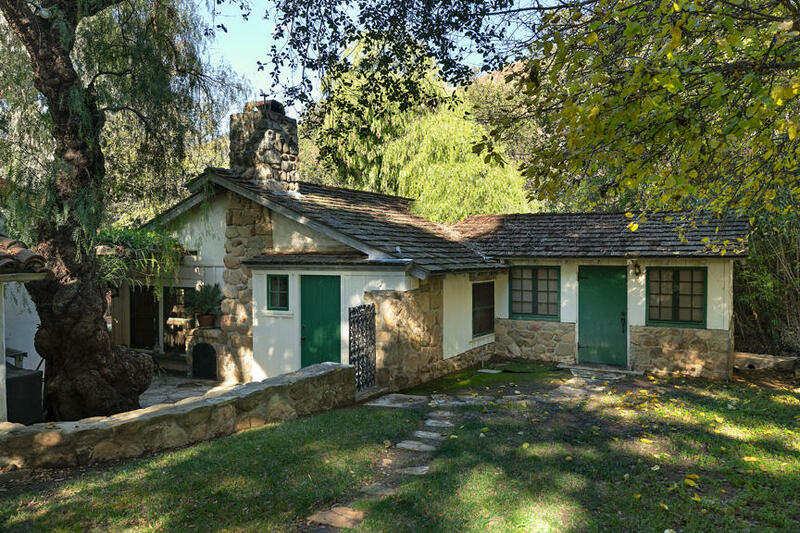 Other dwellings include a 2br/2ba guest house, a 3br/3ba guest house, the 2br/2ba Dove house, with the 1br/1ba Goose house, and a 3 bedroom caretaker's house with 3 fireplaces. 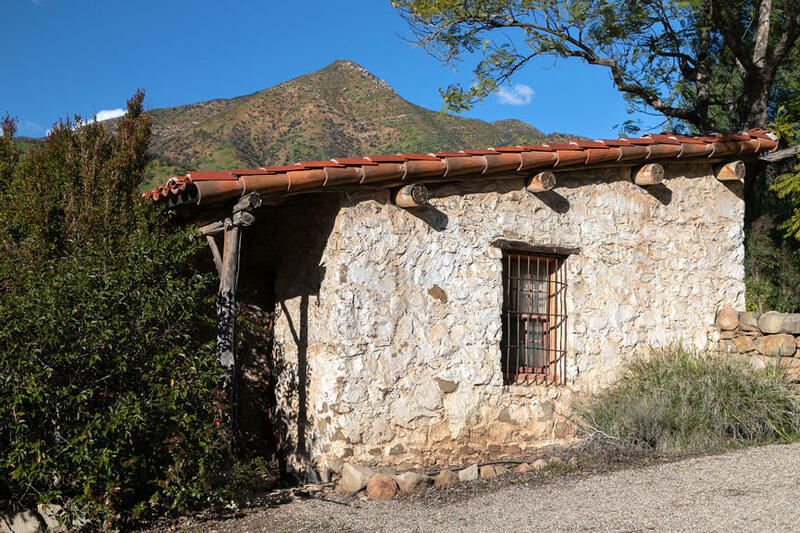 On the working end of the ranch there is a stone barn, a stable, a tack room, corrals, a blacksmith shop, a ranch office and garages. 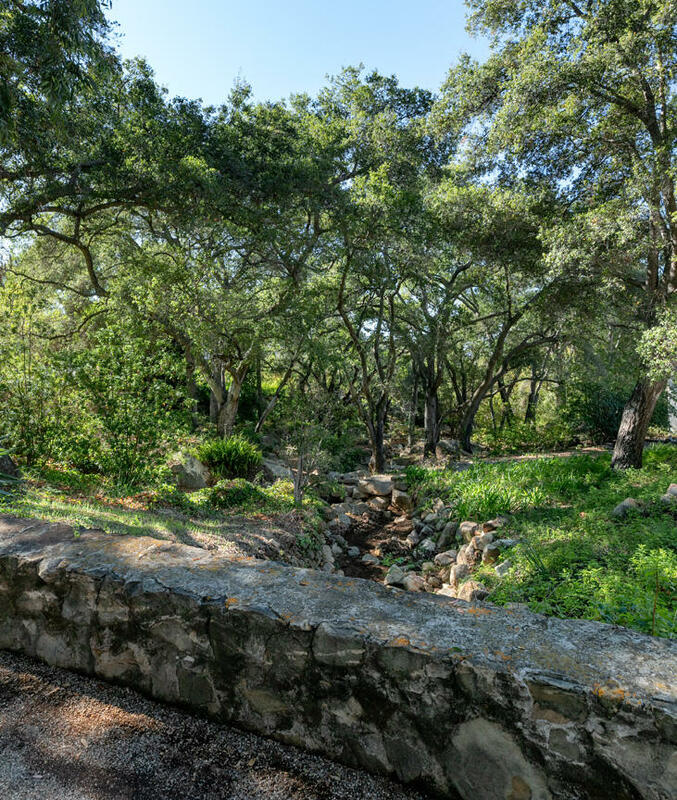 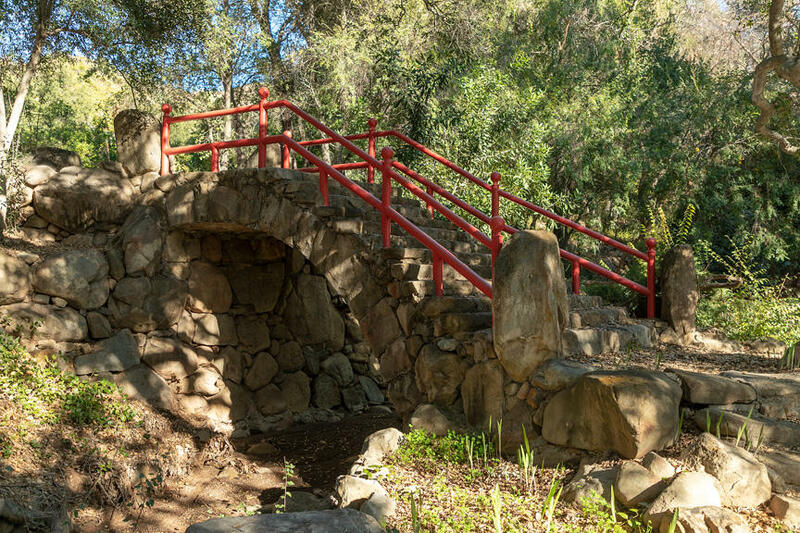 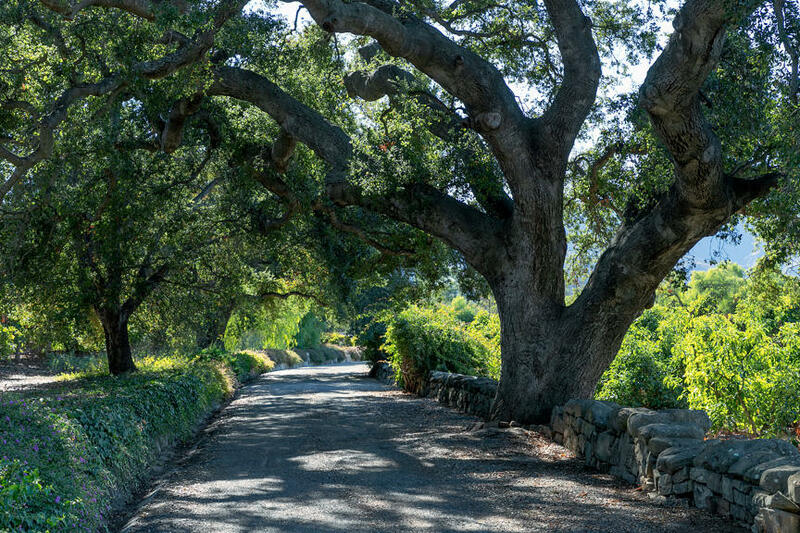 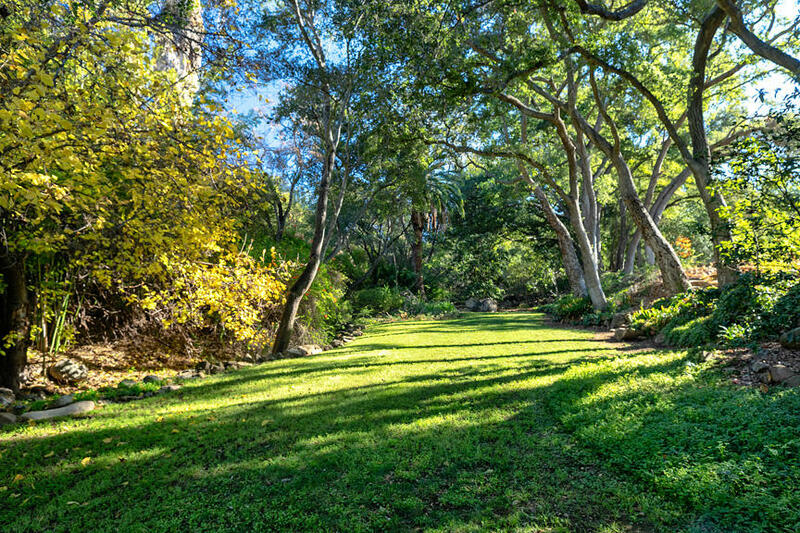 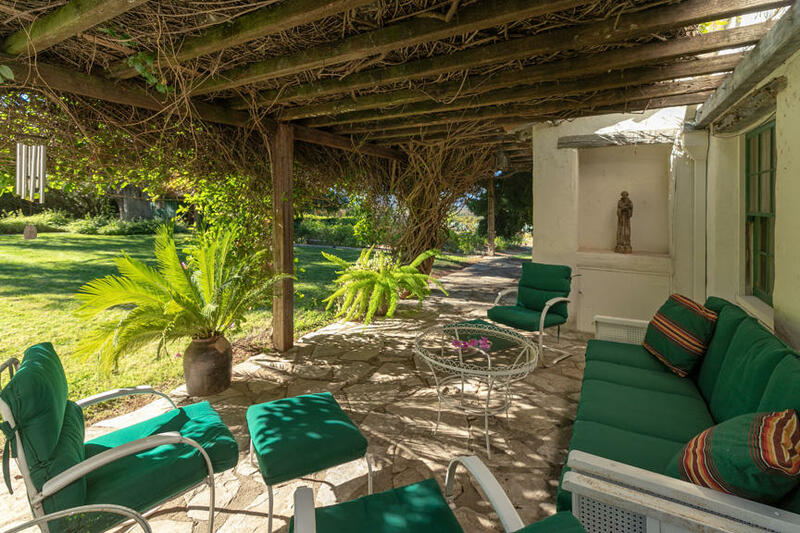 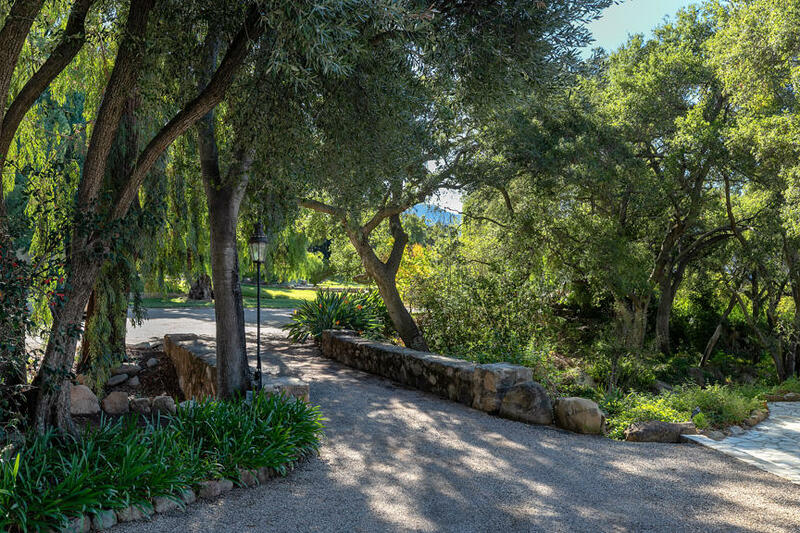 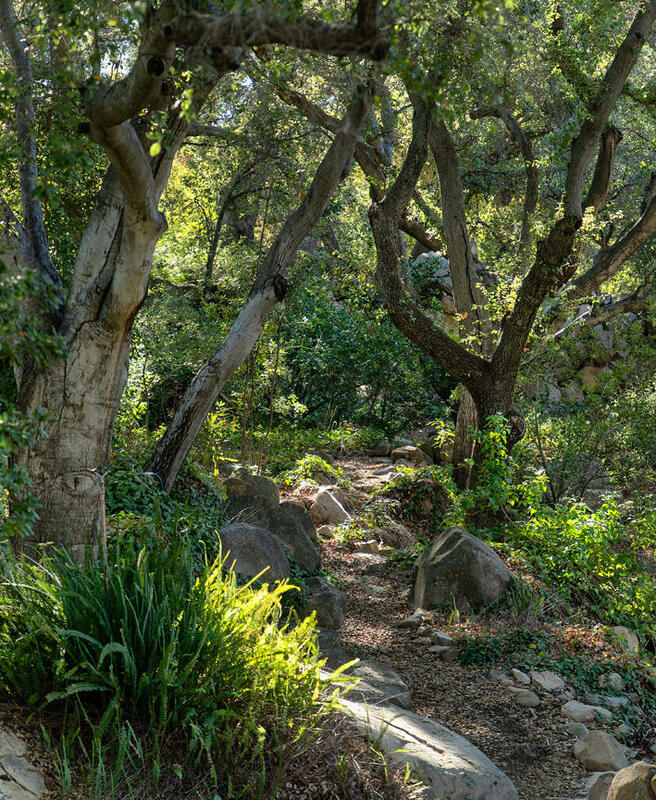 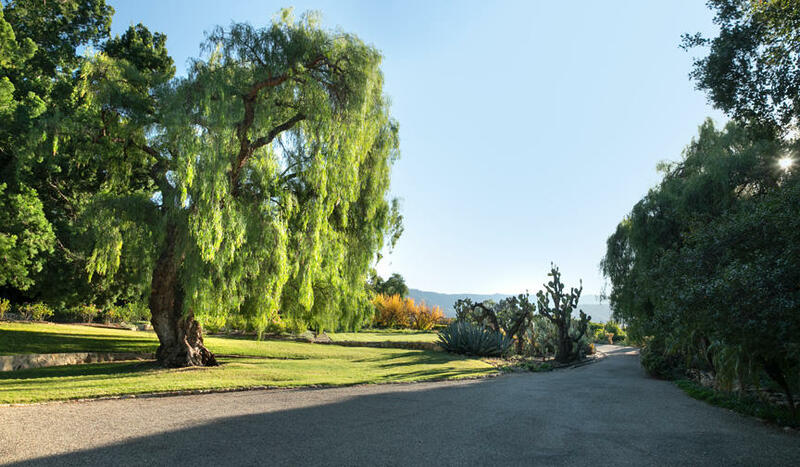 The meandering grounds include 33 acres planted in citrus and avocado, and a variety of stunning trees: oaks, sycamores, eucalyptus, acacia, bougainvillea and jacaranda. 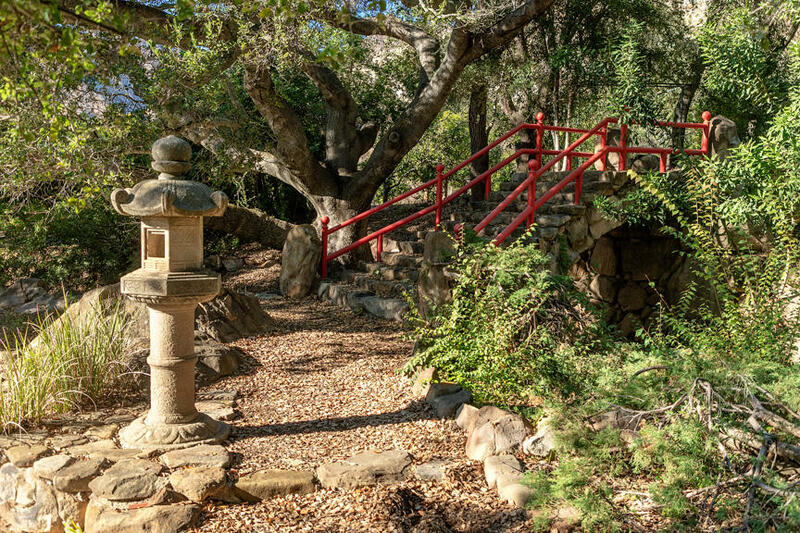 Cactus, rose and Japanese gardens adorned with antique Japanese ornaments give way to a lily pond and rock bridges. 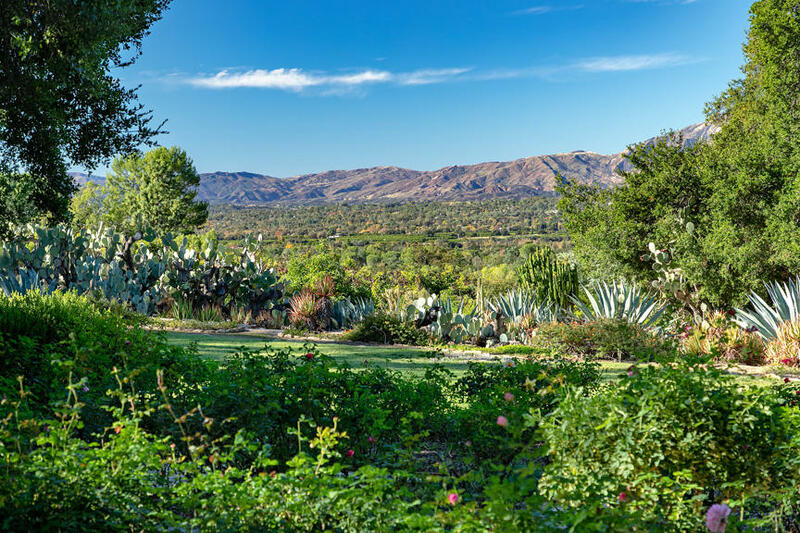 Throughout the property, the sweeping views beckon and wildlife abounds. 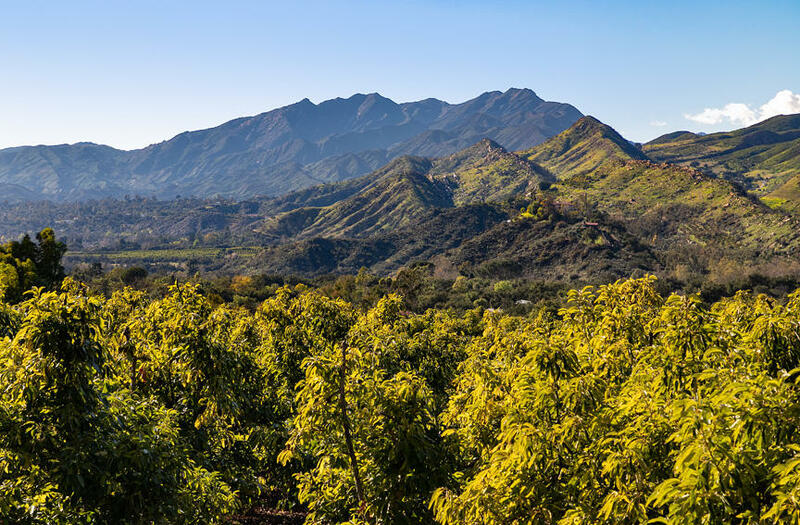 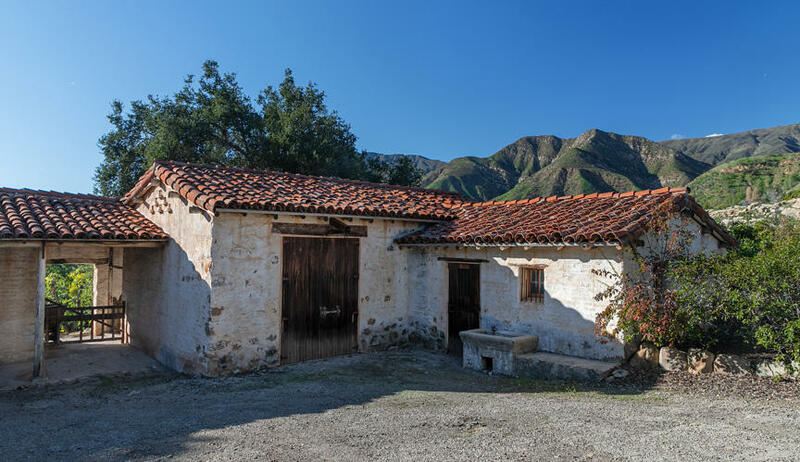 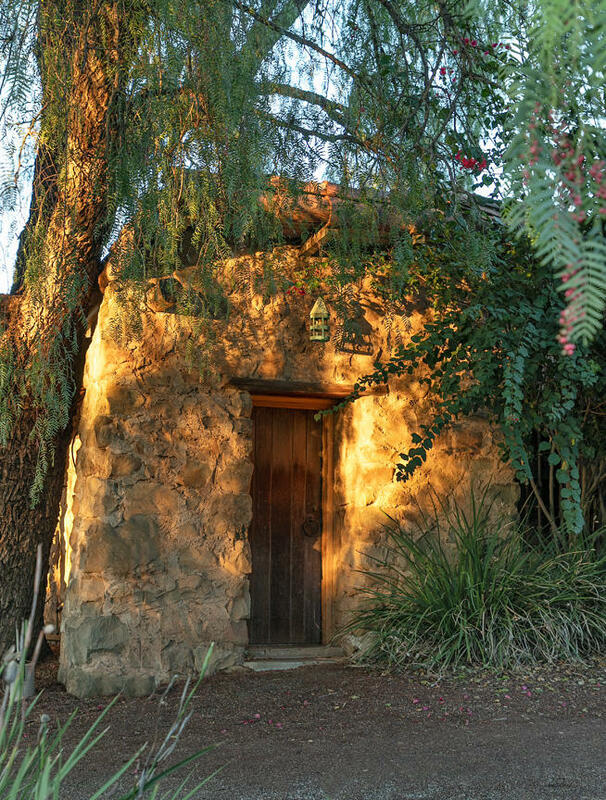 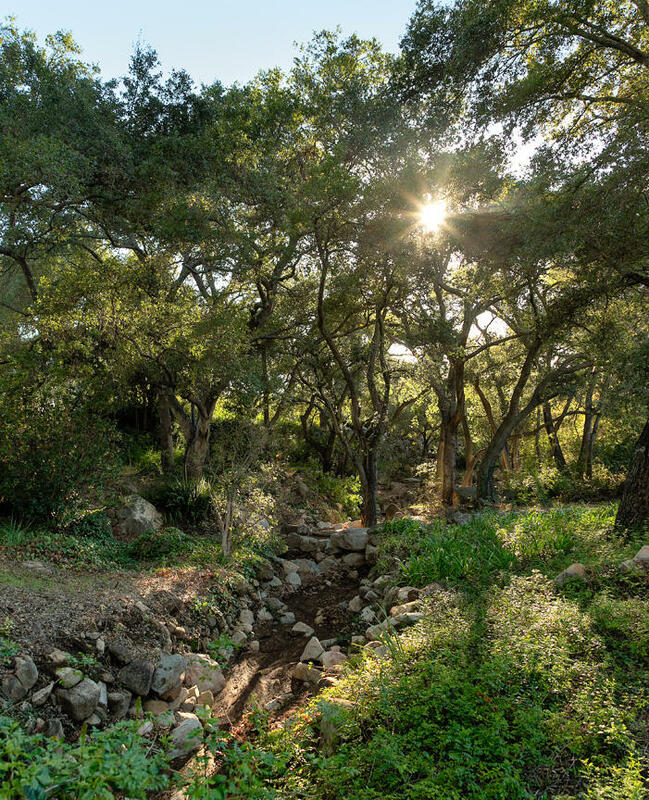 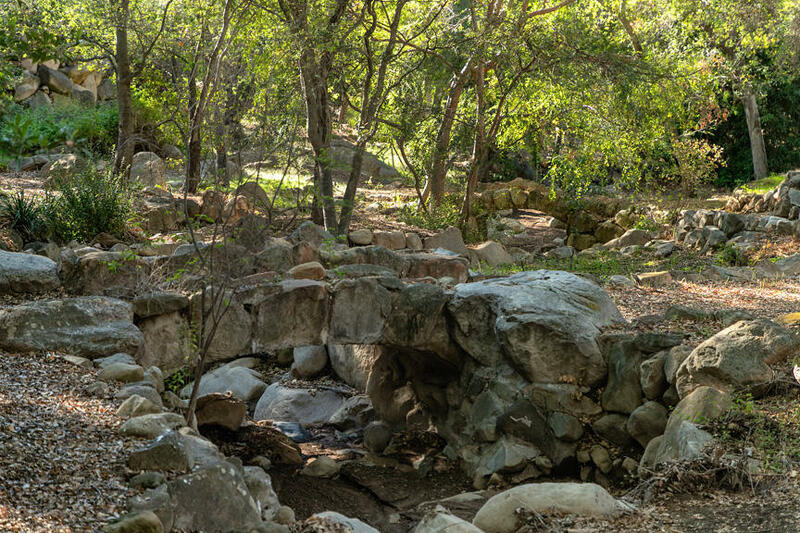 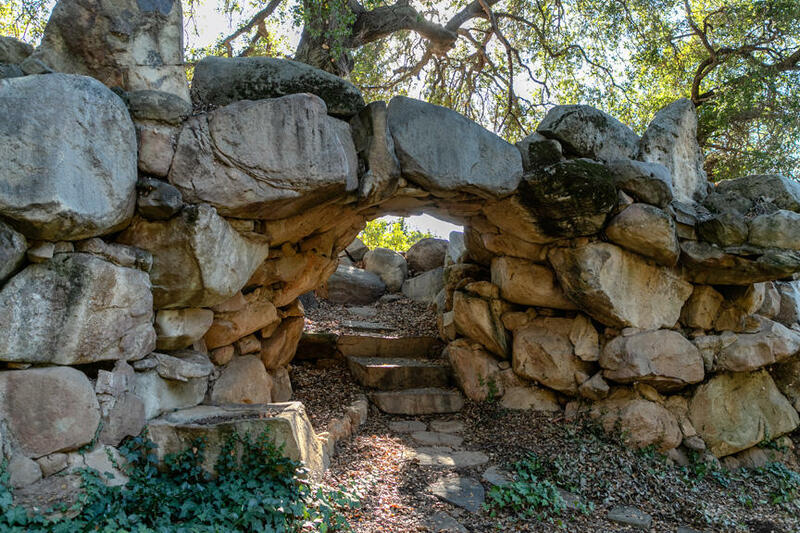 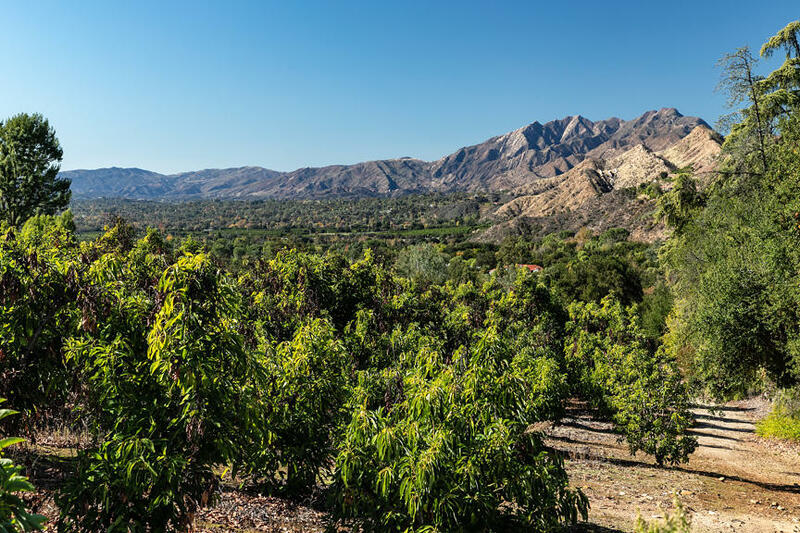 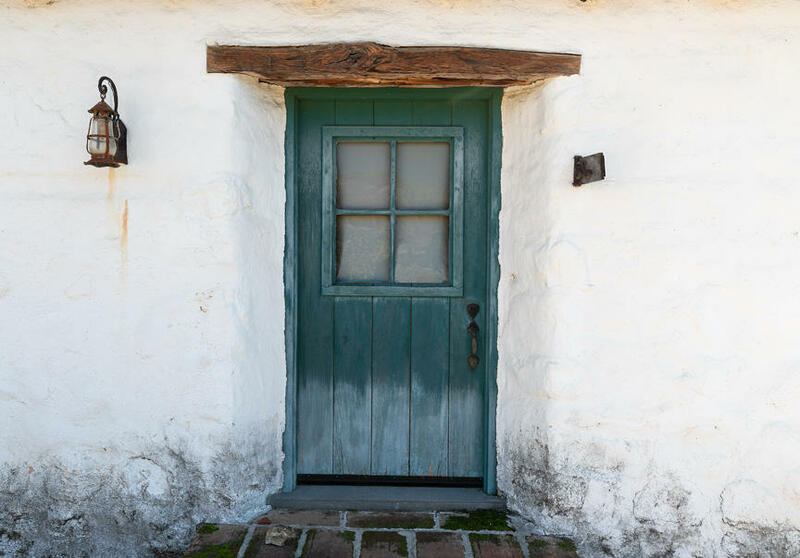 Twin Peaks is unique in the Ojai Valley, a testament to its deep roots in tradition and the loving stewardship of its owners. 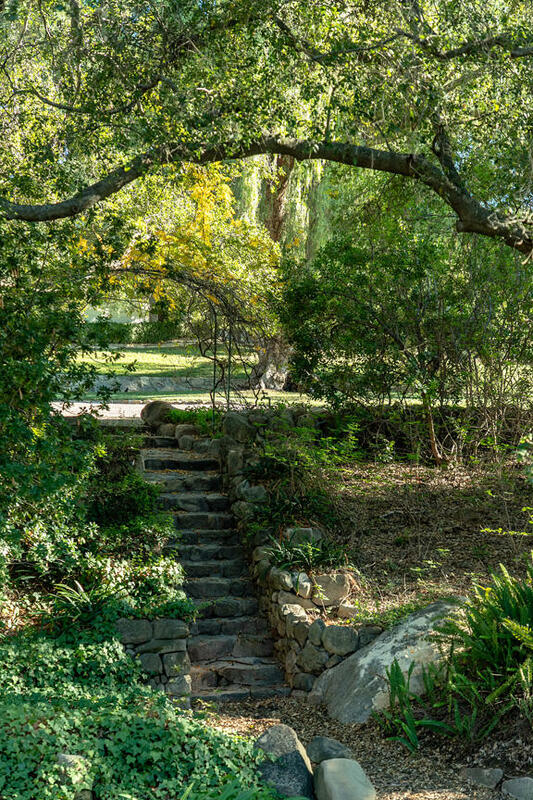 As the host for the Ojai Playwright's Conference for many years, it has continually inspired a creative atmosphere. 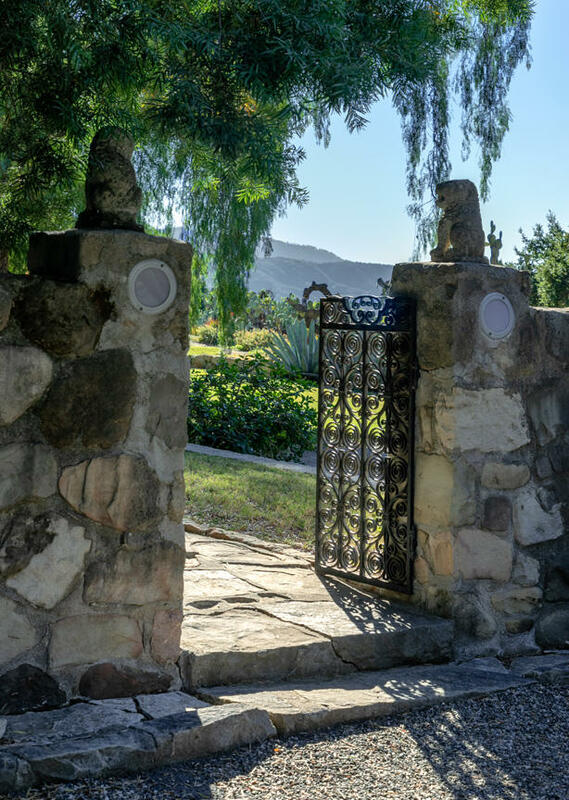 It's breathtaking beauty, historical significance and welcoming atmosphere will never be duplicated.